Dry facial skin is a very common skin condition that can become very problematic. This condition is usually treated easily and controlled before worse problems develop. The severity of flaky dry skin can depend on your age, health status, and the main cause of the problem. 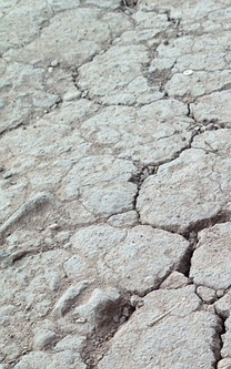 Excessive dryness can also be caused due to diet, your beauty regimen, where you live, and sun exposure. It can get very uncomfortable. You may experience tightness, feel stretched, and itch, especially after showering, bathing or swimming. The lack of moisture will often cause a ashy, dull, and dehydrated appearance. It feels rough and flaky, especially on the cheeks and around the nose and lips. You may experience itching, chaffing, burning, and redness that sometimes may be intense. Uncomfortable irritation, flaking, scaling or when severe -splits and cracks. Premature aging-Sagging,face wrinkles, fine lines, and eye wrinkles. There are many factors that contribute to this problem. Many can be controlled with some self-care measures. Prolonged showers can lead to increased irritation and dryness. Keep bathing time short. Wash your face with moisture-enriched face cleansers or gentle beauty bars formulated for dry types. Washing more than twice daily may often promote dryness by eliminating natural oils. Facial Scrubs - Choose a gentle exfoliating scrub. This important extra step will help uncover new skin and rejuvenate cells. Dead cells can build up a barrier, not allowing easy penetration of treatment creams and lotions. In order for your moisturizer and other anti aging treatments to perform well, you must first get rid of this barrier. Increase your water intake level. Drink plenty of water. Water plays an important part in helping treat dry skin. Drinking 6-8 glasses of water a day can help keep skin hydrated and plumped. For sun safety wear a sunscreen with a sun protection factor (SPF) of 30 or higher to prevent sun-damage. Some facial moisturizer cream products combine zinc oxide sunscreen protection. Maintaining a balanced anti aging diet and exercise program will help contribute to healthy complexions. The correct food will supply the important nutrients to our skin to stay healthy. Exercise will stimulate bloodflow. Be selective when choosing products. Make sure to choose quality anti aging products designed for dry types. You can easily combat facial dryness with hydrating products such as quality anti aging creams, anti-wrinkle creams, hydrating mask facials, or an oxygen mask that will help soothe, protect and put moisture back. Moisture levels can be restored with products that are created for dehydrated and devitalized skin. Formulas help to renew and repair with hydrating agents that balance and restore moisture. A face moisturizer is the key to a soft, supple complexion. A dewy look and feel is instantly obtainable with a moisturizing treatment. Moisturizers will not only hydrate, but some contain humectants that will also help protect against moisture loss by forming a protective barrier. Severe lack of moisture leads to damage and premature aging. Nourished, strong and healthy skin will always appear younger looking. Wrinkle creams help protect from age damage and correct the appearance of fine lines and wrinkles. A hydrating facial mask gives an instant moisturizing boost and helps protect your natural moisture barrier. A refreshing treatment- leaving your complexion soft and glowing. An oxygen mask will help restore vitality and radiance to your complexion. It is formulated to purify, detoxify, deliver oxygen, and help eliminate impurities. Anyone can experience dryness and get dry facial skin, especially during winter months. Fortunately, there are many products available that have been specifically formulated to help restore balance for this condition. Practice healthy habits and avoid products that increase dryness to maintain a healthier complexion.